The FluidFit® upper makes use of multi-directional stretch mesh and reinforcements to provide a glove-like coverage. An exoskeletal heel counter keeps the rear of the foot in place, preventing accidental shoe removal. The shock absorbing nature of the gel-like unit in the mid-sole was appreciated by many runners. Over-pronated foot motion is staved off because of mid-foot stability mechanisms. Durable rubber technologies make the outsole of the Asics Gel Kayano 21 formidable against wear and tear. The sock liner gives additional underfoot cushioning while also bringing moisture management. The Asics Gel Kayano 21 has an expensive price. A few runners noted that the interior lining tore apart after a few months. High-tier technologies make the Asics Gel Kayano 21 a solid option for those who want to run in a comfortable and efficient way. Stability and support are given to the wearer because it has systems that balance out the running gait. Fluid motion on the roads are given in droves by this shoe. There's not likely a more famous shoe in the world than the Asics Gel Kayano, other than perhaps the Nike Pegasus. 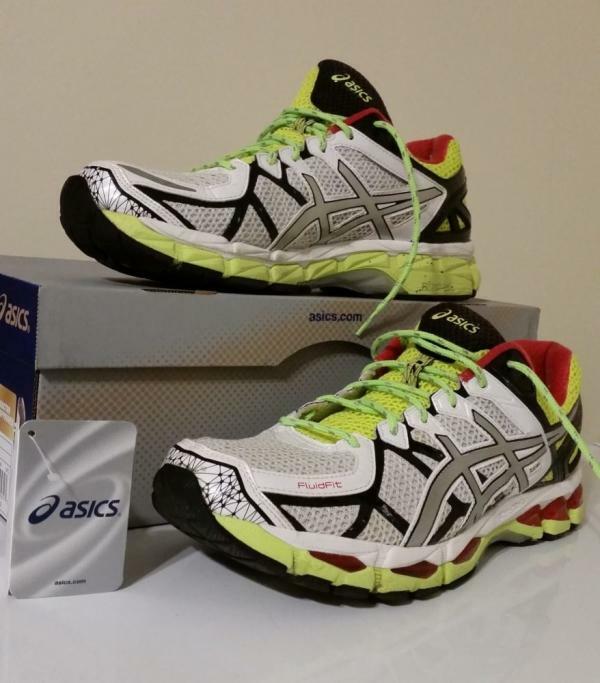 The original Kayano was designed in 1993 by Toshikazu Kayano of Asics. This is the 21st issue of the great Kayano. Some makers including Asics, leave out the reflectors to save a dollar or euro. This is not the case here as drivers at night should be able to see Kayano runners a kilometer or mile ahead, if the drivers are looking. Reflectivity is excellent front and rear.I added the reflective shoelaces for more safety but found no need for adding reflective tape. I purchased version 21 in October 2015 on sale and with discount points for just under $100.00. Definitely a good buy! With over 300 miles of easy road running, including two half marathons, these shoes show about 40% wear, while cushioning has not changed, as far as I can detect. I am fairly easy on the outer soles (bottoms) at 148 lbs. I will say these shoes are more durable than almost any shoe I have owned, very comfortable and long wearing. The Kayano ride with a little more noise than the Brooks Ghost or Nike Pegasus, but there is something that is felt when you slip into these shoes that cannot be measured. There is a sense of confidence that only something of very high quality and design can bring, I call this the "BMW factor." I often run in old cutoff jeans, not being one for style, but people have remarked on these beautiful shoes, more than once and this had never happened before. For me, I would alternate between the GT and Kayano when training and then bring out the Kayanos on race day. This would limit wear on the Kayanos and keep them around longer. These are excellent marathon and half marathon shoes. I had intended to buy the Asics GT but could not pass up the year-end sale. I think that these are perhaps some of the best-built shoes ever made, with quality materials, style, durability and even some unmeasurable qualities, however, the Asics GT 2000 is only a "little bit less" of all these things for a lot less money. But if someone were to ask me "What do you want for Christmas", I know what I would say. Asics Gel Kayano 21 is one of Asics most popular running shoes. I nicknamed them “the boots” because they are heavyweight. It is also one of their expensive stability running shoes. The men’s shoes can weigh 10.8 ounces and the women’s shoes can weigh 8.8 ounces. When I first ordered these shoes online, I was quite excited, however, when they arrived, I hated the bright royal blue color of the shoes. They also felt very heavy and were so cumbersome and rigid. I loved the cushion in the shoe and they were a perfect fit. The shoelaces were nice and long but were also stiff. 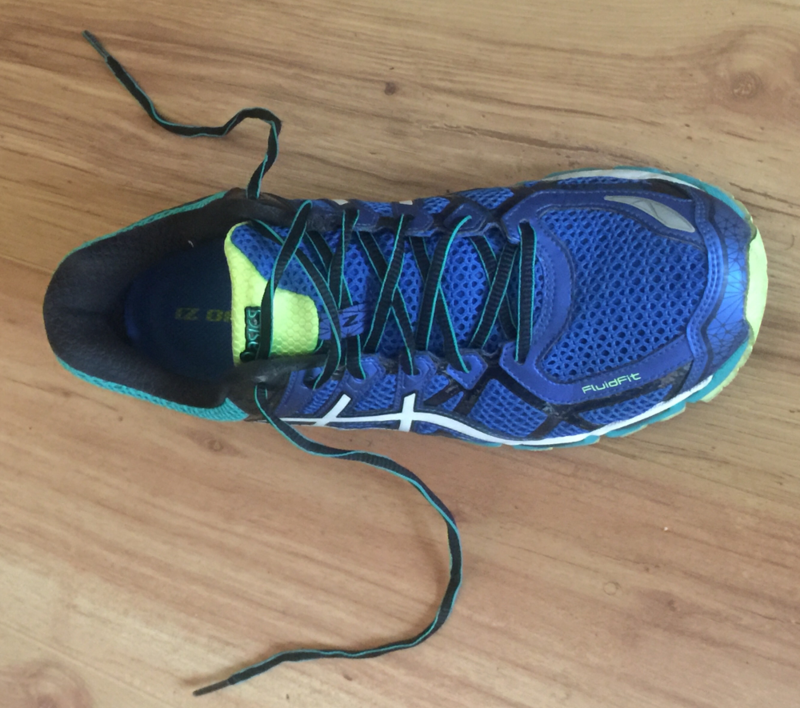 Initially, I regretted ever buying the running shoes online and I wanted to return them as I did not think they were worth the money. I started to wear them once a week on my training runs, but I struggled to cope with the weight of the Asics Gel Kayano 21 running shoes. I did not have to break into the shoes, I wore them straight from the shoe box, but the heavy weight was very off-putting. I found myself starting to avoid wearing them and opting for my much lighter running shoes to train in. In the end, I just decided to stop wearing them. I even offered them to a relative, but he did not like the color of the bright royal blue. After a couple months break from using the running shoes, I then started to run in them more regularly. I am not sure what changed my mind, but I started to like training with my Asics Gel Kayano 21. I have grown to appreciate the virtue of these good quality shoes; they act as a great shock absorber. The shoes are very comfortable, but the weight of the shoes is still an issue for me, but now I am able to cope with them much better. I have worn these running shoes for some of my training and my feet always feel fresh after running in them. These are durable running shoes and are great for training, but too heavy and bulky for races. They are well-made running shoes and have SLOWLY grown on me and have helped me in some of my harder runs. These shoes are for regular users for daily use and long distance runs. They're also great for joggers! I now get it why the Asics Gel Kayano 21 is such a popular stability running shoes as they are built to last a long time. There are newer versions of Asics Gel Kayano running shoes which are already out and they are not “lightweight” and still remain to be expensive. The men and women’s Asics Gel Kayano could potentially be great training shoes and great racing shoes if the price & weight are greatly reduced. This shoe is the definition of stability that will work very well for most over-pronators. The Kayano marches further into softer cushioning territory, leaving older Kayanos and even the Nimbus behind. Upper material selection and design is similar to the previous, except that the fit runs slightly snugger on sides. Though it has an expensive price, the Asics Gel Kayano 21 brings high levels of comfort, protection and stability to the runner. The materials and components that are used here are all efficient when it comes to making the overall experience an enjoyable one. It even has an appealing design that caters to modern runners and those who want a visual endearing running companion to take them through the races. The Kayano 21 has an upper unit that’s comfortable and secure. A glove-like fit is afforded to the wearer because this shoe uses a mesh material that is able to stretch to multiple directions. Essentially, the cover system is capable of making the coverage feel snug, but not too tight as to be uncomfortable. A mix of fused and stitched-on overlays assist in making the fit as customizable as possible. The mid-sole unit uses a full-length foam that has reliable bounce-back mechanics. It enables the foot to lift more efficiently during the toe-off phase, essentially propelling the runner forward with energy. Stability is given to the mid-foot area via a dual-density foam that acts as a foundation to the arch. Shock is absorbed by the Gel® Cushioning System in both the rear and the front of the platform. The outsole of this Asics shoe uses two different rubber technologies that work in tandem to make the tread as efficient as possible when tackling the asphalt. Durable and long-lasting, they dole out their purpose of protecting the sole unit and giving traction with sureness. The Asics Gel Kayano 21 has a standard running shoe length. The sizing scheme for this shoe is adherent to the regular measurements for men and women. The available width is medium, so it accommodates those with medium sized feet. Its semi-curved shape follows the natural curvature of the human foot. AHAR® or the Asics High Abrasion Resistant Rubber is a durable material that’s placed in critical areas of the shoe where wear and tear are most likely to occur. This outsole material has been used in most Asics running shoes, like the Kayano 25. It resists damage brought about by friction and continued use. It even gives reliable surface traction. The DuraSponge® is blown rubber placed in the forefoot section. It adds a bit of cushioning and durable protection, making the forefoot striking and liftoff more comfortable. Flex grooves allow the platform to be more forgiving to the natural movement of the runner’s foot. They flex accordingly when the foot is ready to toe-off. The FluidRide® features bounce-back mechanics and cushioning, which are very important when it comes to taking each step. The springy nature of this mid-sole unit allows the foot to move more efficiently through the gait cycle, even allowing the toe-off to be more enabled and effective. The Dynamic DuoMax™ Support System is a stability mechanism that uses a dual-density foam placed in the mid-foot area of the Asics Gel Kayano 21. It holds the arch in place, preventing any unfavorable inward rolling of the foot during the gait cycle. The Gel® Cushioning System is made up of a silicon-based unit that is able to absorb shock during the landing phase. In this running shoe, both the forefoot and rear benefit from this add-on, which makes each step more comfortable. The ComforDry™ X-40 Sock Liner adds a bit more cushioning and rebound to the immediate underfoot. It is able to manage moisture responsibly, thus keeping the platform dry and cool. The FluidFit® uses multidirectional stretch mesh to wrap around the foot with ease. It doesn’t feel stiff or firm against the skin, so it fits like a glove. The overlay system of the Asics Gel Kayano 21 uses stitched sections and parts that have been fused with the main fabric. They connect directly to the lacing system and adjust accordingly when the shoelaces are manipulated. The Heel Clutching System™ is an external heel counter that supports the rear of the foot by keeping it in place. It is helpful when it comes to preventing wobbliness and shoe removals.